A number of local industries are represented within the collection including farming and forestry. 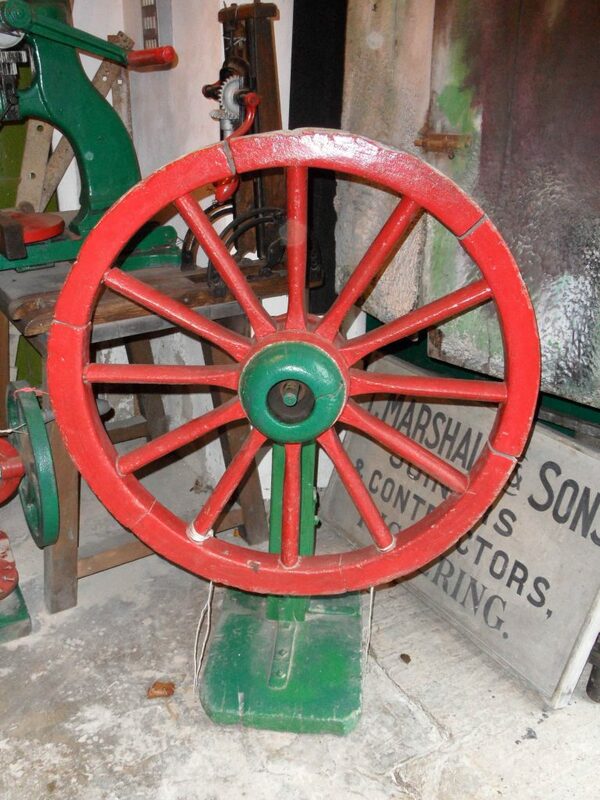 There are a small number of items linked to whaling at nearby Whitby and also a collection of photographs, plans, ironstone workers hand tools and artifacts relating to the Ironstone-mining and mineral railways at Rosedale. The collection has blacksmiths, wheelwrights and cobblers tool and a large number of items from the printing studio of Pickering printer, Eric Dewing. There is a collection of besom maker’s tools and equipment, which was once a popular trade in Pickering. A homemade device created by Richard ‘Dickie’ Dale, the last Pickering wheelwright, to make the task of decorating cart wheels easier. A wheel was lifted onto the wheel horse which was turned on the axel with one hand while coats of paint were added with the other hand. After several coats of paint, the wheel fellows and spokes were then decorated with thin lines of paint, using very small brushes with long hairs. This process was called ‘lining’ or ‘stringing’ and required a good eye and a steady hand. After the paintwork was completed a coat of varnish was added. The Columbian printing press was designed by George E. Clymer around 1812. This printing press (No.1604) was made in London by William Carpenter. It was owned by a series of Pickering printers, first by Mr John Hodgson, then Mr A. J. Hunnam followed by Mr Eric Dewing. Colombian presses often have elaborate decorations. The main large counter weight on this press is in the shape of an American eagle. In its talons the eagle clutches a flight of Jove’s thunderbolts (representing war), the Cornucopia (signifying prosperity) and the olive branch of peace. One end of the main counterbalance lever takes the form of a sea snake or dolphin (representing wisdom). Around the nameplate is a decorative design of fruit and flowers. The printing press remained in use by Eric Dewing until 1972, when following the closure of his printing studio it was donated to the Beck Isle Museum. 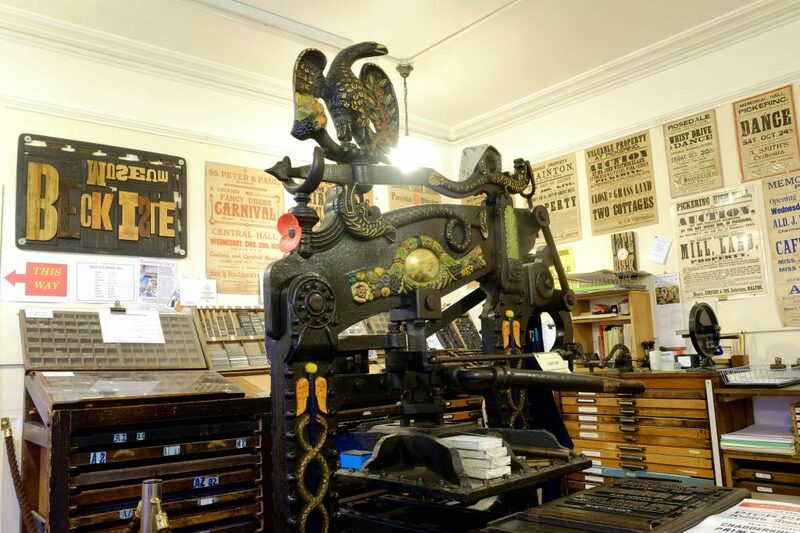 You can still see this the press in action on craft days at the museum when is it operated by volunteer printers.